The National Festival of the States concert series in Washington, D.C. offers musicians the performance tour experience of a lifetime. 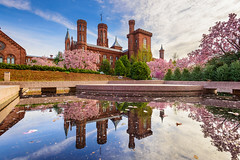 From its celebrated symbols of patriotism to its undiscovered neighborhoods, the sights and sounds of the nation’s capital inspire millions of visitors every year. Packed with famous sights, free attractions, and an endless calendar of special events, Washington, D.C. offers year-round inspiring experiences. Every year, featured ensembles from across North America travel to Washington, D.C. to perform in distinguished venues, hand-selected based on each participating group's size, musical selections, and physical and technical requirements. Great effort is made to match performance ensembles to appropriate venues with maximum audience potential. Music Celebrations has an established history of facilitating performances in world-class venues such as the John F. Kennedy Center for the Performing Arts, Washington National Cathedral, the Abraham Lincoln Memorial, the National World War II Memorial, and many more. 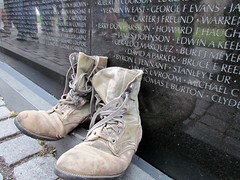 There is no better backdrop for a patriotic and life-altering experience than to perform in Washington, D.C. for American Military Veterans, to sing in a historic cathedral, to conduct a concert on a major concert stage, or to perform at one of the great historical monuments on the National Mall. This is an amazing opportunity to enjoy the musical offerings of this vibrant American city. 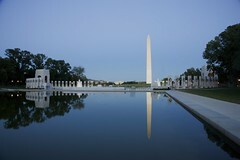 Our trip to Washington, D.C. was both memorable and musically satisfying. The performance venues were outstanding and the audiences receptive and appreciative. I must make special mention of the Kennedy Center performance. It was certainly the ‘performance of a lifetime’ for many of our students and one which they will never forget. In the 26 years that I have been teaching, our recent trip to D.C. was the best trip I have ever taken. Everything ran so smoothly and was absolutely wonderful. All of the students were thrilled with the experience. Thanks for your expertise in a well planned and well thought out experience. Words cannot describe the elation that I and my students shared performing at the Kennedy Center. Wow! The trip was wonderful and we all had a fantastic time!